Šternberk Castle, originally a defensive medieval mansion with preserved cylindrical tower and remains of the main palace, attracts visitors an unusual atmosphere. Šternberk Castle is on of the oldest rock - built castles in Moravia. Some time after 1253 it was founded by Zdeslav of Šternberk who acquired this area to the North of Olomouc from Přemysl Otakar II for military help. It concerned of courageous defence of Olomouc which was right in 1253 besetted by Hungarians and Kumans. 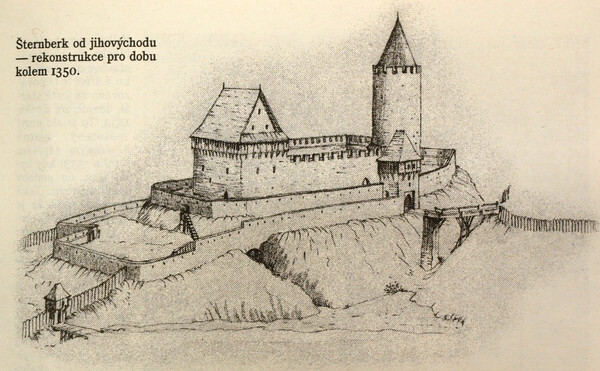 It is pretended that Zdeslav of Šternberk commanded the defence of the town, defended Olomouc successfully and as a reward he was allowed to built a castle here. There is not much left from the original Zdeslav´s castle, we can see only a part of stately cylindric tower so called bergfrit, in Czech the Nebojsa. The original height of the tower was about 45 metres, but after the Thirty Years’ War the tower was largely damaged, it had to be decreased and preserved in todays 25 metres. The tower was originally used as a watchtower, there was an excellent view from it, and also as a dojon. In the event of capture of the bailey and neighbouring castle palace, castle garrison pulled back into this tower. It was the last hope of castle defenders. Thickness of masonry which is about 4 metres, helps that the bergfrit is almost unassailable. In 1397 Moravian branch of the house died out on the spear side and till the turn of the 17th and 18th centuries, several Czech and German noble houses changed in keeping the estate. In most cases the castle passed over to further house by marriage. Around the year 1700 the estate was bought by Jan Adam Ondřej of Lichtenštejn. The Lichtenštejns owned the castle till the end of the World War II and also realized the last big reconstruction. It happened in the period 1886 – 1910 in then popular Romance historicist spirit. 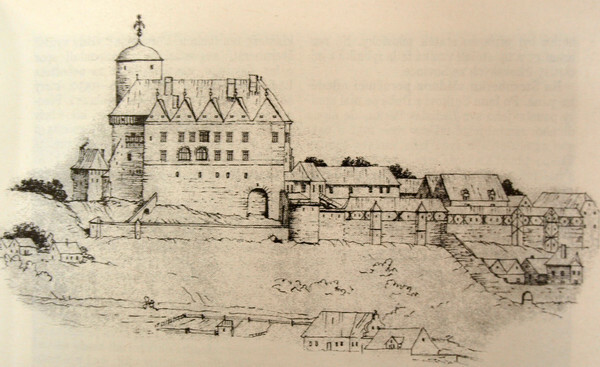 Its realization was suggested by the Prince Jan II of Lichtenštejn. The reconstruction did not only give the castle todays appearance, but also the first floor was opened for public as a museum due to it. Lichtenštejns lived on the second floor, but only till the end of the World War II. Then they had to leave the castle for a consideration of Benes decrees. There were gradually collected works of art from the whole Europe – paintings, furniture, fragments of gilded leather tapestries, medieval tiles, Dutch stoves and other interior supplements. Precious Liechtensteins collections are installed today mainly in the interiors of the 1st floor. After 1945 the castle was abalienated to administration of the state and in 2001 it was set out National Cultural Monument.